Tam always kept a good head on his shoulders, until he was diagnosed with terminal cancer. Now he keeps his head on the body of a murdered assassin, thanks to the breakthrough technology of “Uncle” Ma (who technically isn’t either). That muscle memory is a trip, but it will be awkward when the dead man’s nasty associates will come looking for him in Victor Vu’s Loi Bao (trailer here), which screened during the 2018 Fantasia International Film Festival. Like Condorman’s alter ego, Tam used his superhero graphic novels as his own wish fulfilment fantasies. He also wrote bizarrely tragic historical epics about fathers dying in battle that will be little comfort to his wife and pudgy son as they wrestle with his prognosis. However, Uncle Ma has the technology. He just needs a viable body, which very conveniently delivers itself, along with a hail of bullets from his murderers. It is a good thing Tam and Ma happened to be in the right forest at the right time, because they are able to sneak the body back to his lab for a head switcheroo. Suddenly, Tam knows Kung Fu, but his hands need to relearn how to draw. He also might be getting flashes of the previous tenant’s memories, especially when he visits a pretty young emergency room doctor after some of his early heroics. Inevitably, Tam starts saving children from burning buildings and the like. He also does a lot of parkour. However, his new body won’t be so much fun when an organ trafficking gangster starts threatening Tam’s family. Since Charlie Nguyen ran afoul of the government censors, Vu has become a veritable one-man Vietnamese film industry. He has been working his way through the catalog of genres, so it was probably inevitable that he would give superheroes a go. Frankly, the action in Loi Bao is pleasingly gritty compared to the films coming from the Mouse House and Bugs Bunny’s corporate masters, including quite a bit of slickly choreographed gunplay. The biggest drawback is Vu’s predilection for melodrama, which remains undiminished in Loi Bao. Like clockwork, the film comes to a screeching halt so Tam’s wife can lecture him about calling undue attention to himself or suspect him of getting up to some hanky-panky with Dr. Young-and-Available. Seriously, give us all a break. On the other hand, there are at least two wildly over-the-top third act revelations that perfectly reflect the spirit of superhero comic books. Cuong Seven is just okay as Tam, but he is definitely at his best performing action director Vincent Wang’s fight scenes. The entire ensemble is rather uneven, but Ngoc Anh Vu is the clear, unchallenged standout as Dr. Temptation. The action scenes are crisp and clean—and so is Nguyen K’linh’s cinematography. In fact, it is rather interesting to see a superhero tale in a Vietnamese setting, where sleek, affluent homes lay nestled not far from grimy back alleys, at least judging the Hanoi Vu depicts. Regardless, few superhero movies have a body-count this high so you have to give Loi Bao credit. 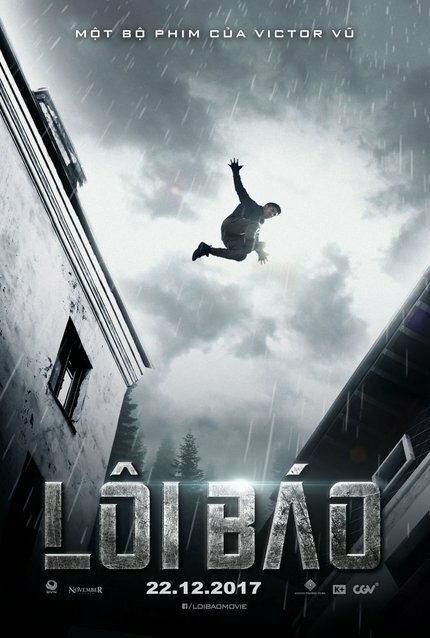 Recommended for fans of superheroes, martial arts, and parkour films, Loi Bao had it North American premiere at this year’s Fantasia.